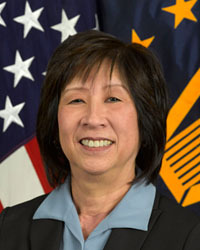 Defense Department Chief Information Officer Teri Takai and Army Lt. Gen. Curtis Scaparrotti, Joint Staff director, gave individual and team honors for the 2012 Defense Department Chief Information Officer Awardslast week in Washington. 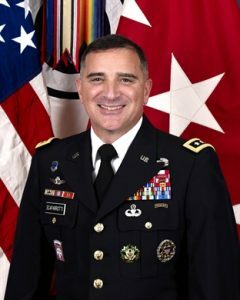 According to the American Forces Press Service, these awards recognize initiative and performance in delivering mission capabilities to warfighters, supporting development of development of new technology for warfighters and helping guide information technology modernization. “You represent [more than] 300,000 individuals in the Department of Defense [who] continually work on our communications infrastructure to make sure that information is available,” Takai said, according to Amaani Lyle’s report for AFPS. This year’s first prize in the individual category went to Miyi J. Chung, deputy commander and technical director of the Defense Information Systems Agency‘s Pacific Korea Field Office. First prize in the team category went to the Directorate of Communications for the Office of the Defense Representative in Pakistan. Defense community leadership and peers selected the finalists, while the Pentagon’s executive board reviewed more than 100 nominations.